If you have happened to stumble on this little blog, you may have noticed that when I do get round to writing something (an infrequent occurrence I am sorry to say) that most recently it has been about books. If you have delved slightly further into my older posts you may have discovered that at one point in my life I loved to read. But then life kind of took over and I failed to find the time. Last summer I came across a reading challenge and thought it looked like fun, so I signed up. And to cut a long story short, it seems to have given me back my reading mojo. And I also discovered that when I have a book on the go, I begin to feel a bit more like myself, like the genuine me and I am all the better for that. Sadly, the reading challenge is having a bit of a break until summer. When I discovered this I panicked. Without some sort of goal would I still manage to make time for books? The answer is probably yes but to keep me from speculating I've decided to join in with The Year in Books over at Circle of Pine Trees, if Laura will be kind enough to have me. This means I will be posting my book choice at the start of each month, and aiming to read it before said month is out. 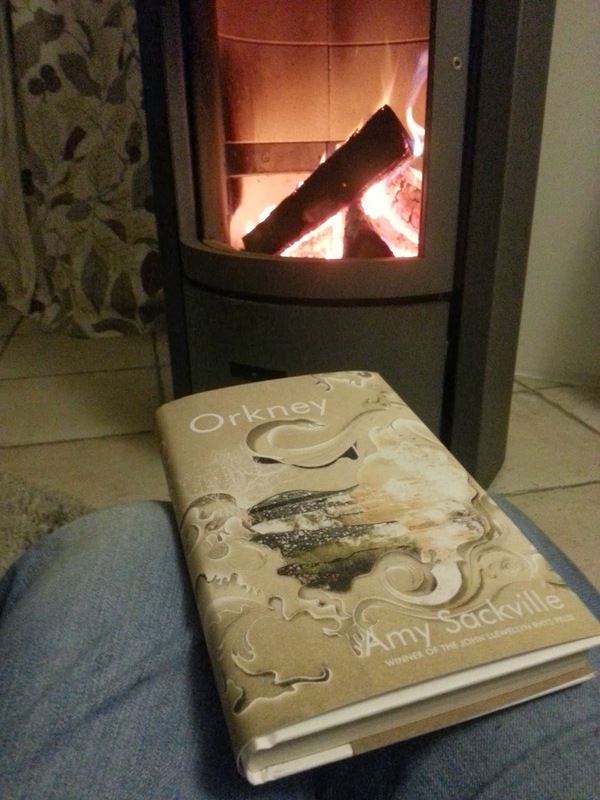 My January choice is Amy Sackville's Orkney chosen because it is about a couple who met at university honeymooning on one of the Orkney islands. Well, my husband and I met while both working for our university in Orkney and we returned to spend our honeymoon there a few years later. I can't let a good coincidence like that pass me by! I shall be back in February to let you know how I got on. By the way, that's our new wood burner in the background. It's been a dream to get one installed for quite some years and so far we are absolutely loving it.